Many organizations already have a wealth of relevant data at their fingertips. This data might come from existing forms or checklists that are part of their everyday business. However, many organizations don’t have the time or the expertise to take this data to the next step and turn it into useful, actionable information. 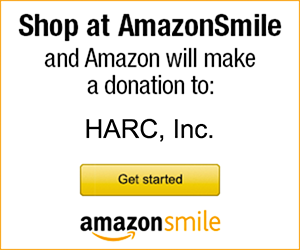 HARC can help! HARC’s trained researchers will meet with you to discuss what data you already have, and what you want to learn from that data. Once you turn the data over to HARC, our team will clean the data, organize it, and analyze it. We can produce written reports and presentation that will sum up the work you’ve been doing into concrete numbers, all supported by facts. HARC can help you turn your old files into useful, actionable information that you can use to make strong decisions for your organization. HARC works with clients to analyze all manner of existing data. All of HARC’s data analyses are overseen by Dr. Jenna LeComte-Hinely, who has more than a decade of research experience, and are carried out by experienced researchers with extensive training and expertise in the fields of research and evaluation. Interested in turning your old files into useful, actionable information presented in clear, concise reports? Contact us today for a FREE consultation!